Best kayak and paddle board rental deals in the area! We do not charge by the hour, we charge by the day! Enjoy the ENTIRE day for the same price the other guys charge for a couple of hours. Rent it for the day or keep it overnight, it's the same price! Take it up a notch in comfort and quality with our Stadium seat kayaks. These are way more comfortable and much easier on your back and backside. 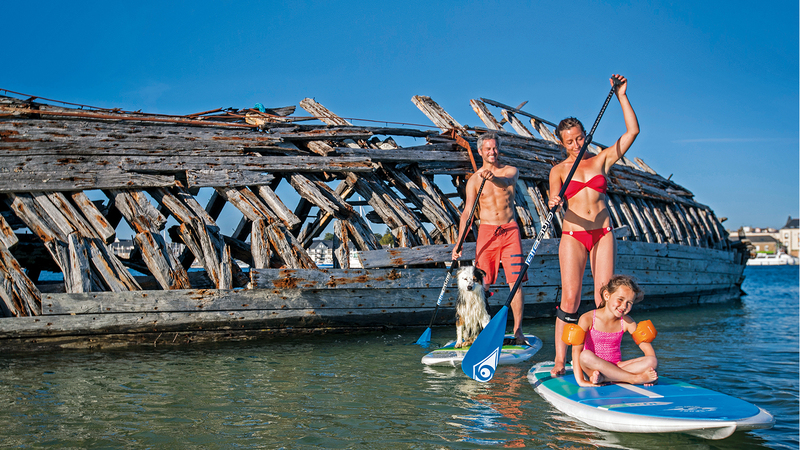 Durable, stable paddleboards to make your outing enjoyable regardless of your experience. Our premium line of rental SUP boards enables you take the dogs or kids, go fishing, cruising, try yoga, or racing on a touring board. We rent out the same brands we sell in the store. This means you get a QUALITY rental – The Good Stuff! *Apply $50 of your rental towards a kayak or paddleboard purchase within 14 days. Local Delivery/Pickup available - only $25 for up to 4 units. Including: St. Petersburg, St. Pete Beach, Treasure Island, Pasadena, Madeira Beach, Bay Pines, Gulfport, Downtown St. Pete, Pinellas Park, Tierra Verde, Indian Shores, and surrounding areas.